Size 3: 16 - 28 lbs. Size 4: 22 - 37 lbs. 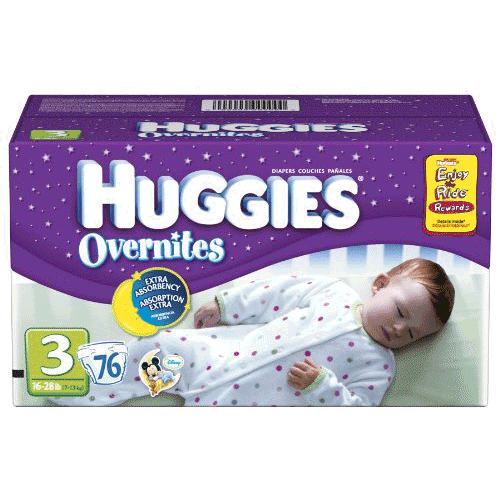 Huggies Overnites Unisex Diapers are manufactured by Kimberly Clark. 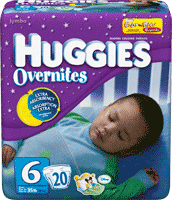 Overnites are highly Absorbent Diapers designed to last as overnight diapers. 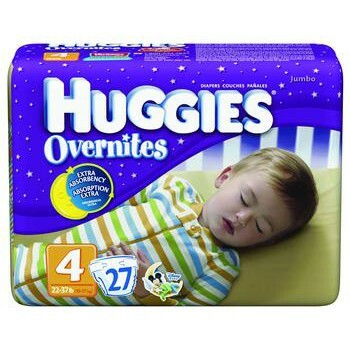 Huggies Overnites are Disposable Diapers that provide exceptional protection against leaks by providing a snug fit around the body. Your kids will sleep better with Huggies most absorbent diaper. When your children sleep better, you sleep better! Children are fond of the Disney Mickey artwork provided on the Huggies Overnights. 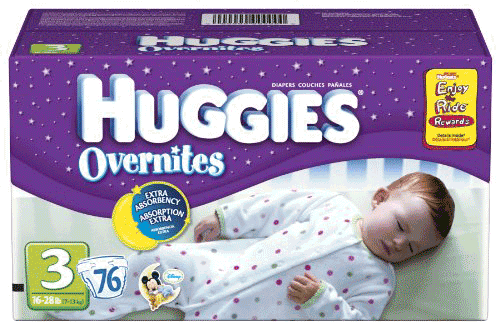 Huggies Overnights are provided in three size options to help get the best fit. 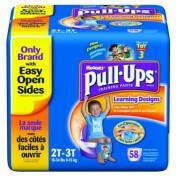 Kimberly Clark Huggies most absorbent diaper to help keep baby comfortable and dry. Up to 12 hours of protection against leaks. The SnugFit* waistband helps the diaper stay in place throughout the night. Unique tabs for a secure fit. Adorable graphics, featuring Sleepy Mickey Disney designs. Designed for kids ages 3 to 5. Size Options: 4 sizes ranging from 3 to 6. Child Weight Options: 16 to 28 pounds, 22 to 37 pounds, 27 to 40 Pounds and 35+ pounds.